The last few years have been a journey for me in understanding who I am and the type of leader I can be. 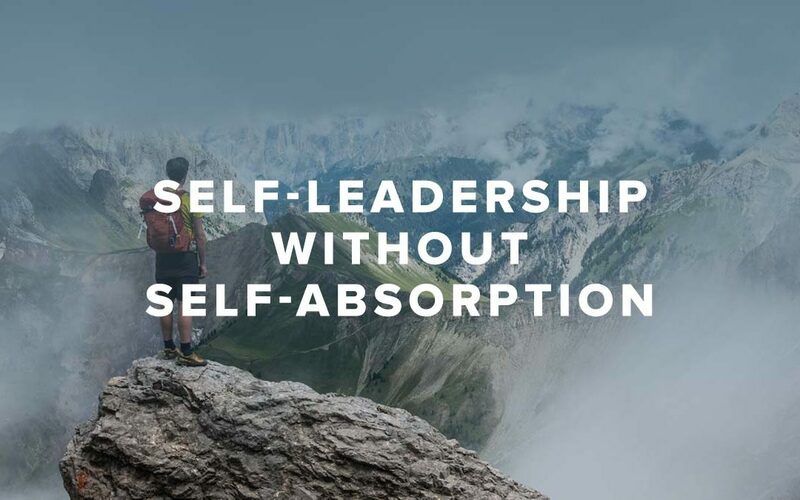 In doing so, I’ve learned some valuable lessons in how to walk the tightrope between self-leadership and self-absorption. I wrote about falling off to one side in 3 Dangers of Self-improvement. As Jesus said, those of us who seek to find ourselves, run the danger of losing ourselves. So, how do we improve our self without becoming consumed by our self? 1. Seek to understand yourself so you can better serve others. Knowing your Myers-Briggs type or your Enneagram number can help you understand your leadership styles and temperament, but if it’s just used for your benefit, then you will lean toward the side of expecting everyone else to acquiesce to your style. For years I thought, hey, I’m an introvert … so leave me alone and don’t ask so many questions. But the secret to avoiding this is to use your knowledge for their good. If our goal is to love others as Jesus did, then we learn about ourselves so we can love others better. Learning of my introversion reminds me to schedule time away so I can be my best around others. Rather than expecting them to leave me alone, I just find time to leave so I can return fully charged. 2. Journaling is more than keeping a diary. For many of us, we wince at the word “journaling” because we think it’s just a diary of the day’s events. But I credit Michael Hyatt for helping me understand the value of capturing leadership learnings over just tasks completed. His Full Focus Journal comes with a great template to help organize your journaling by giving you probing questions. I find that during this time – 10 minutes tops – I am able to boil the previous day down into some great leadership learnings that have very little to do with my successes, but rather my learnings from my mistakes. When I do this, I am less likely to repeat them. Yep, I’m a pastor, so you expected me to say something like that. But the truth is when my prayer list is a to-do list for God in order for my life to be better, all I focus on is me. Self-leadership is about serving others. And one of the best ways I can use my self to serve others is to go to God on their behalf. Now, that being said, it can be easy for me to settle into just talking to God about what I wish that other person would do to make my life easier. So try some prayers like, “God, give them a great day.” “God, I know they are sending a kid off to college, I pray you ease the tension and sadness.” Or even, “God, help me understand how to serve them better.” A great app that takes your contacts and gives you three names to pray for each day is Ceaseless. I’m sure there are many more things that can help, so, what have you learned? I know in my life, I can easily study MY personality preferences, I can write down MY to-do lists for me and others, and I can pray for MY success … or I can shift the attention and benefit to others. In the end, the latter always gets me closer to being like Jesus and way more fulfilled. I begin my day by praying “The Prayer of St. Francis.” That helps me focus on how I interact with the persons I will meet throughout the day. Great stuff! I have been working on self improvement and making time each day to be thankful and to pray for others along with concerns on my own heart.